From a tech tool to a pop culture reference, the hashtag has come a long way since it was first popularized by Twitter. 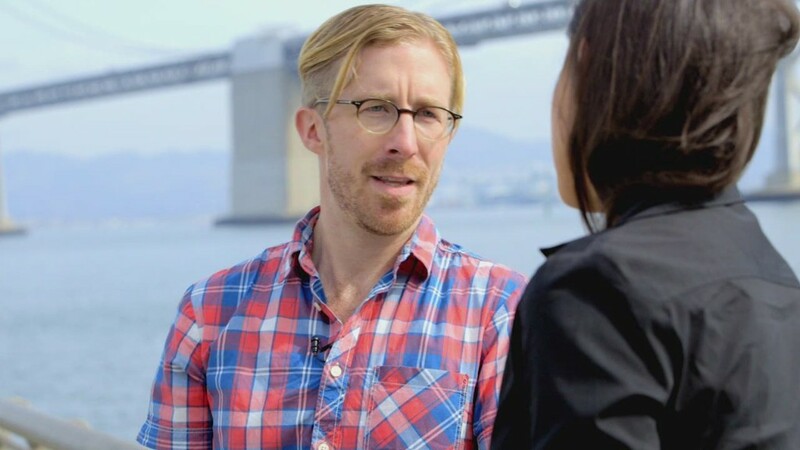 And even Twitter, at first, rejected the idea, which came from Chris Messina, an early user of the service. He proposed the symbol -- and its functionality -- as a way to allow Twitter users to sift through the daunting, constantly updating newsfeed. When affixed to a word or phrase, the symbol would serve as a clickable tag. Eventually Twitter (TWTR) came around. That was in 2007. Today, the hashtag has far more reach than just as a ubiquitous tag among social sites. "We bet it all on the hashtag," said Josh Decker, CEO and founder of startup Tagboard. Launched in 2011, Tagboard lets users follow hashtag conversations by aggregating posts from six of the social media biggies -- Twitter, Instagram, Facebook, Google Plus, Vine and Flickr -- on one page. It's been used by news organizations like the BBC, in stadiums and on the web. Anyone can use the platform's basic features for free -- but businesses can pay for services like embedding a Tagboard page on their site or using more than one hashtags. The startup counts Samsung (SSNLF), Microsoft (MSFT), Audi (AUDVF) and Nike (NKE) among its 1,000 clients. And it has one important supporter: Messina, who joined the board in June. Decker points to the Super Bowl as an example of the hashtag's proliferation. In 2012, 7% of Super Bowl ads featured hashtags. In 2014, 58% of did, according to Decker. Though not yet profitable, Tagboard's user base and revenue grew sixfold from 2013 to 2014. Decker's business (and others like U.K.-based startup Hashtagify, which helps businesses identify and suggest tags) aims to fill an open market. "It's something that needs a lot of understanding," said Sree Sreenivasan, chief digital officer at the Met Museum who has been training professionals on using digital media for decades. "I don't think we've reached a point where everyone understands what it is," added Sreenivasan (who said this year, every Met exhibit will have its own hashtag). "I joke, 'my children eat in part because people don't understand what a hashtag is.'" The symbol's overuse -- and misuse -- has become the subject of mockery in pop culture. That's become a business opportunity on its own. Brands like Kate Spade have introduced the symbol on totes ("Is this seat taken? #Handsomestranger") and tech accessories ("He said, she said #talkischeap"). Kate Spade declined to comment. 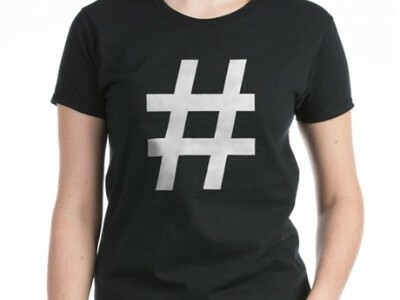 The most popular hashtag product on CafePress is this basic tee which goes for $25. CafePress, the custom t-shirt, apparel and gift site, has 189,000 items that include the hashtag (out of over 1 billion user-generated designs). According to Sarah Segal, director of public relations, sales for hashtag-related products have been on the rise since 2009. The most popular? A t-shirt featuring just a simple hashtag. Other popular designs include #YOLO, #Swag, #NoFilter, #Bestie and #Selfie. "We've been considered a barometer for things that are trending," said Segal, who declined to disclose specific sales figures. Bow & Drape, a New York City-based fashion firm that lets women customize basic articles of clothing is also getting in on the trend. According to co-founder Aubrie Pagano, sales of items with a hashtag have grown an average 212% every month since first rolling in September. It appears the hashtag has finally made it. "It's left nerd-dom and now it's out there in the world," said Messina. --Laurie Segall contributed reporting to this article.